The ACOM 03AT is a complete automatic tundr for remote mounting directly to the antenna. 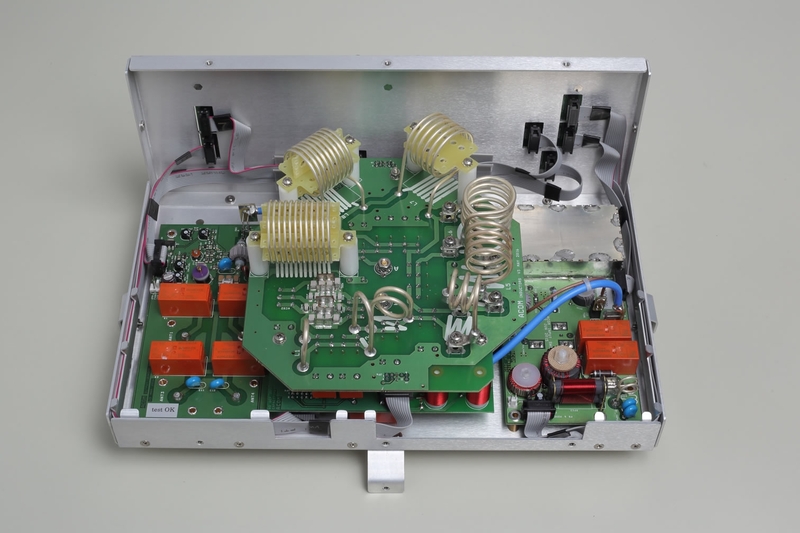 The tuner fits symmetric antennas on a 50 Ω unbalanced throughout the range of 1.8 - 16MHz to. Depending on antenna matching the maximum power is beetween 200 and 2500W. To start the tuning process, you simple send a signal to the tuner in CW. The tuning process will start automatically.. While tuning your transmitter is protected against mismatches by a automatically attenuator switch. After tuning, it is switched off again. In addition, the tuner and the relay to "hot-switching", excessive antenna voltage, overheating, etc. protected. Through remote operation, you have less losses in the supply line. The antenna is tuned directly to the outside unit and thus is not a high SWR on the feed line. Operates automatically with any transceiver without special requirements. Just a CW signal with 10 to 100W for a few seconds and the automatic adjustment is carried out. 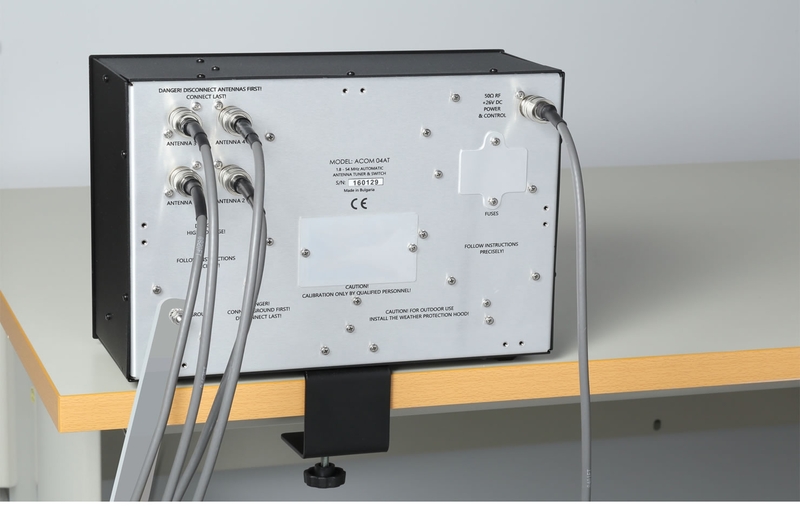 The connection between the controller unnd outdoor unit can be made up to a length of 50m with fiber optic cables. This avoids interference of the controller with high transmission power. Nonvolatile memory for 99 different user preferences and the selection of the power on mode. Options: Unbalanced output with 50 Ohm UHF(SO239A) connector; Control for the ACOM2000A HF linear amplifier and for ACOM2000S automatic antenna selector; PC control via RS232 or RS422 serial port; Nonvolatile memory for user tunings. Due to several requests: Yes, the price for this antenna switch is not a joke!